For me, I exclusively breastfed till six months and have been breastfeeding up until now. Gosh, two and a half years is a long time and I feel very proud of myself. I didn't plan to breastfeed for this length of time and it hasn't always been easy. When my little boy was just a few days ago we had to go back into hospital because he had severe jaundice, wasn't feeding well and had dropped more than 10% of his body weight. I was hooked up to the big hospital expressing machines (probably where my dislike of expressing came from after that experience) and had to express and feed around the clock. It was exhausting but thankfully he put on weight very quickly. Since then I've always had an abundance of milk and my son has always been a big feeder. Other problems I've had have been full-on biting with teeth and a mild case of mastitis with excruciating let-down reflex! I can laugh about these things now but at the time I was in agony. Chatting with an advisor from the Breastfeeding Network helped immensely! For most of the first year with a baby I never left him longer than a few hours because I needed to be back to feed him. Although I feed just once a day now (the night feed was dropped early on), I rarely drink alcohol and if I do it's basically one glass. So why have I continued? I wanted to write about these things as breastfeeding can be a challenge but for me they were all part of having a baby. I've been very persistent and that's where my toddler must get it from! As well as all of the health benefits breastfeeding brings, such as, protecting your baby from infections and diseases now and in the long term, it reduces a mother's chance of developing breast cancer, ovarian cancer, as well as osteoporosis, uses several hundred calories a day, it's free in cost and most of all I and my little boy love it. I knew from an early age that my little boy would never self-wean as he's always loved his milk! I don't know anyone on a personal level that breastfeeds their toddler however a quick search on social media will show that there are many women all over the world breastfeeding past the year mark. In some countries the average weaning age is 4.2 years! I don't plan to breastfeed for that long but for now it's still an amazing bond, the benefits continue, I still have a good milk supply, my toddler is showing no signs of stopping, it's completely natural and I'd rather he had my milk than more milk from a cow. So let's celebrate the amazing world of breastfeeding! We are giving away over £300 worth of prizes. 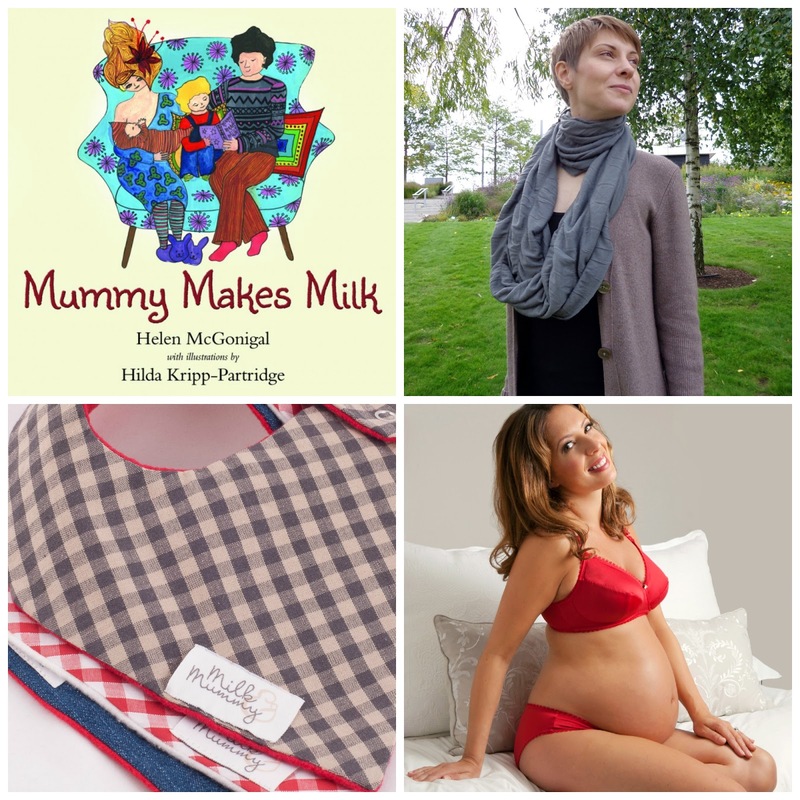 A copy of Mummy Makes Milk, the new picture book by Helen McGonigal and Hilda Kripp-Partridge which explains breastfeeding through enchanting text and beautiful illustrations. A nursing dress of your choice from More4Mums who specialise in fabulous, affordable nursing wear for pregnancy and beyond! 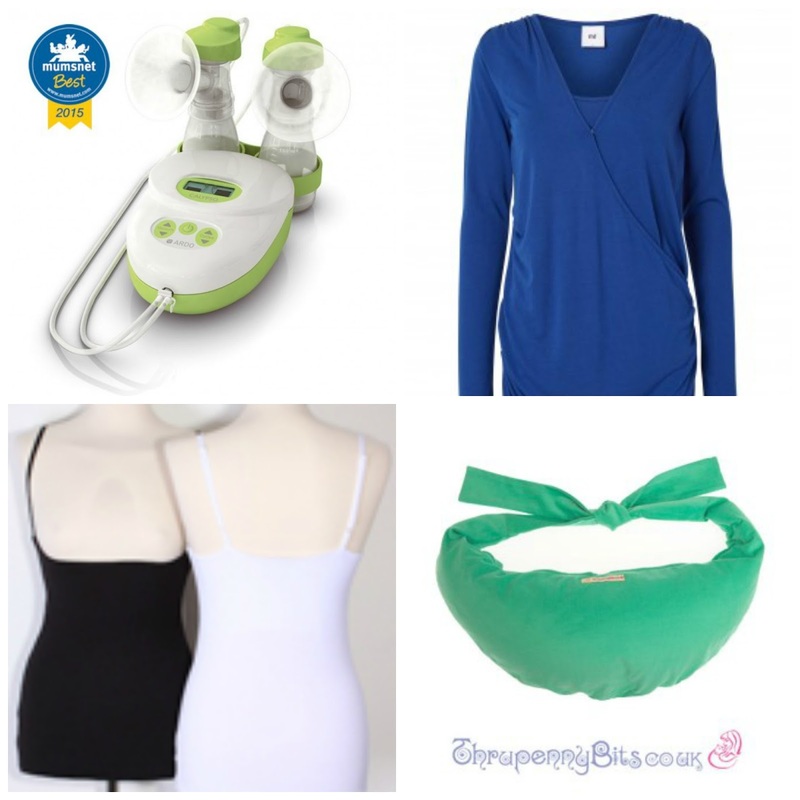 An ARDO Calypso Double Plus breastpump, the quietest breast pump on the market and winner of the Mumsnet Best Award for the last 3 years. A Loveyush Snood infinity scarf. This versatile scarf can also be used as a breastfeeding cover and even as a cardigan! A set of three gorgeous dribble bibs from Milk and Mummy, an online boutique selling maternity and nursing wear as well as other mummy must-haves! A beautiful, portable breastfeeding pillow from Thrupenny Bits. When your breastfeeding journey comes to an end these fab pillows convert into a gorgeous bag! A duo top set from breastvest which turn any top into a breastfeeding top so you don't need to worry about exposing your tummy while feeding and can keep wearing your favourite clothes! A box of 14 lactation cookies from Mothers Love Cookies, a fabulous home bakery selling delicious cookies, brownies and flapjacks for nursing mothers. With special thanks to our sponsors for providing the amazing prizes: ARDO, LoveyUsh, Milk & Mummy, Lorna Drew, Mummy Makes Milk,Thrupenny Bits, breastvest and More4Mums. I fed my boy until 11 months. My milk supply dried up. Luckily he didn't seem to mind too much, which was quite a relief for me. Initially I planned to feed till 6 months, but I've found it so easy that I have happily fed longer. I hated preparing bottles, I found it stressful, so breastfeeding was the easier choice for me.